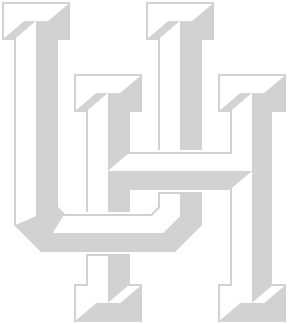 While Robertson Stadium was being renovated in 1999, Doug Allums visited the University of Houston campus every day during his lunch hour. He watched with fascination as the campus rebuilt one of its monumental landmarks. Today, Allums holds season tickets and goes to almost every football game. He is a longtime fan of UH sports and attributes his dedication to his college experiences. "The football games brought a strong camaraderie to the student body. There was a strong spirit on campus in those days," Allums reminisced. Because he is an enthusiastic university supporter, Allums decided to make a real property bequest in support of athletics, the Cougar Marching Band and the Bauer College of Business—where he earned a degree in business administration in 1952. By giving real estate through his will, Allums ensures that the value of the property he bequeathed will qualify for a charitable deduction that will lessen the estate tax burden for his heirs. Moreover, he can change his bequest at any time as well as give another person lifetime use of the property before unrestricted ownership passes to the university. Allums' planned gift will help the University of Houston continue the traditions that unite the campus. With vivid memories of UH in the 1950s, he recalls the significance of the Cougar Marching Band and athletics. "The band brought so much entertainment to a game," he said. Pep rallies, held at that time in Cullen Auditorium, attracted one of the university's leading donors, Hugh Roy Cullen. "I was very impressed by Mr. Cullen. He took time to come to our pep rallies, and he appeared overwhelmed by the crowd. His presence on campus greatly influenced many students. I had a lot of respect for him. He did wonderful things for students like me." Just as Allums' memories of UH are a part of him, he has become a part of the university. Through his bequest, Allums reveals how meaningful the University of Houston is to him. "I love the city of Houston, and I love the University of Houston. By doing this, I know I'll always be a part of both of them."